McFee Medical Technologies manufactures its own vitrectomy equipment following stringent guidelines. 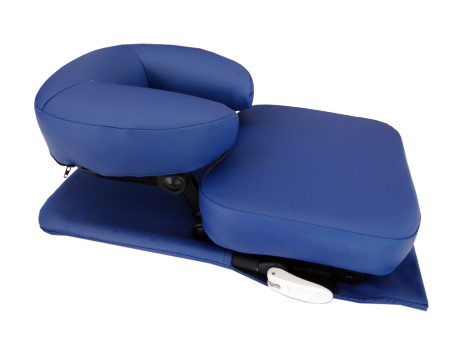 All units are ergonomically correct, sterile, extremely strong and adaptable to most body sizes and builds. You will receive more equipment for the same price or less, including professional service, free ground shipping, free insurance assistance, free set-up consultation, free rental of a Travel Cushion and Majicview™ Mirror, a free water bottle, a free DVD and printed instructions. Please allow us to assist you in any way we can. Contact us today! 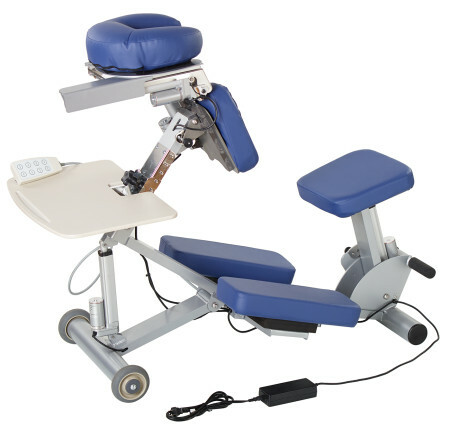 We put our 18 plus years of experience in post-operative vitrectomy recovery and face down recovery equipment to work in the design and construction of this chair. 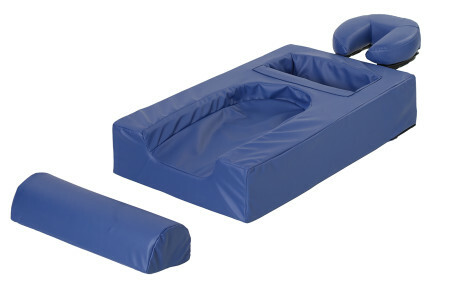 The EZ Sleep Support System, designed and manufactured by McFee Medical Technologies, is the most versatile and comfortable sleep system available. 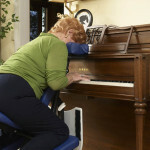 It is a must for anyone who is required to sleep face down after vitrectomy surgery. 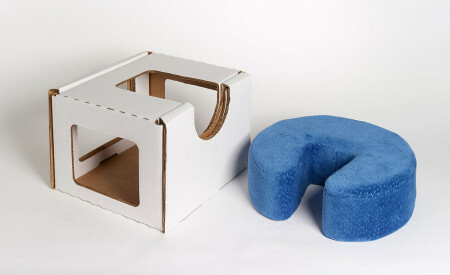 The EZ Sleep can be configured and used in three versatile ways. First, it is designed for night-time use on top of a bed. 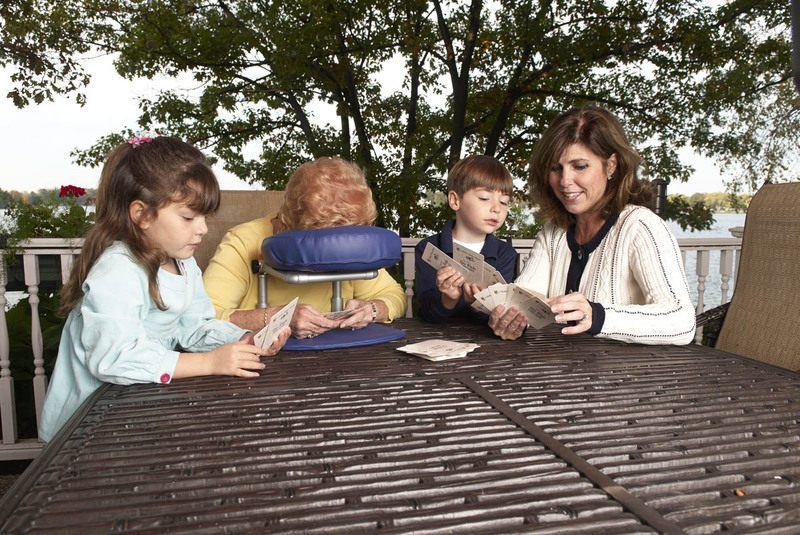 Second, it converts into a table-top unit for use during the day. 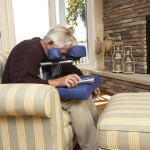 Third, the face support portion of the EZ Sleep is used with the Travel Cushion for use on any chair, sofa or in an automobile. It gently supports you in the face down position to help prevent rolling over in the middle of the night. 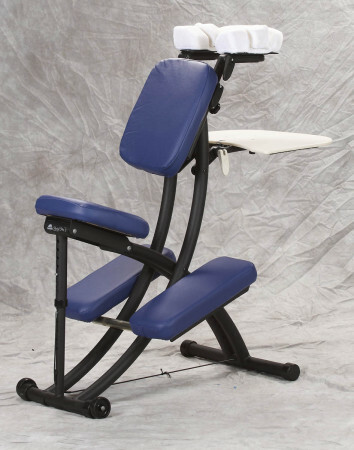 Its ergonomically correct design elevates the upper torso to reduce lower spinal compression and back pain. 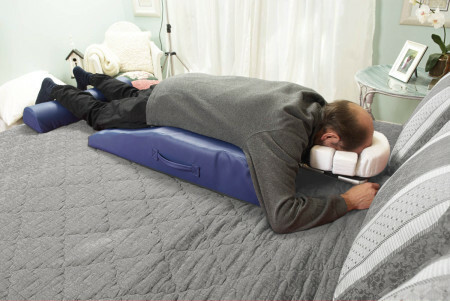 It elevates your head off of the mattress so you can breathe easily. 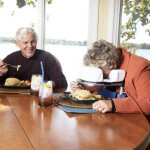 It provides a comfortable face-down option for eating, playing games, watching TV and conversing. 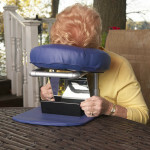 When used in conjunction with the MajicView™ Mirror, you can see 180 degrees around the room without lifting your head. 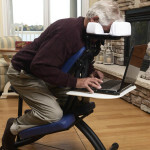 Its ergonomically safe design helps to prevent neck and back strain. 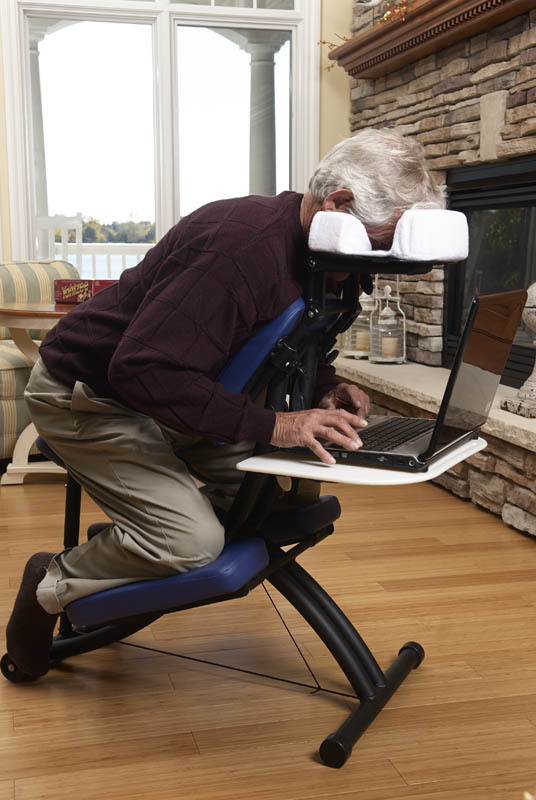 You can sit on any chair, sofa or car seat and remain face-down. It provides infinite options for your mobility, i.e. take it to church, pot luck dinners, doctor visits. 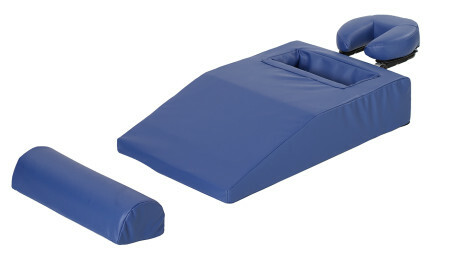 McFee Medical Technologies will customize the EZ-Sleep in any vitrectomy equipment rental package with specialty body cushions to meet the individual needs of each patient’s body type and physical needs. Only available from McFee! Specialty comfort cushion for larger chest size. 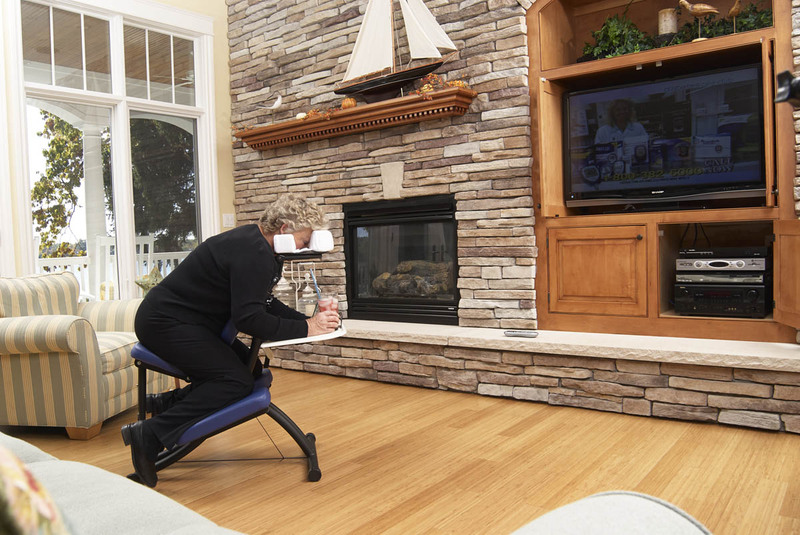 The Seated Support by McFee Medical Technologies lets you get up and out of bed to enjoy life. 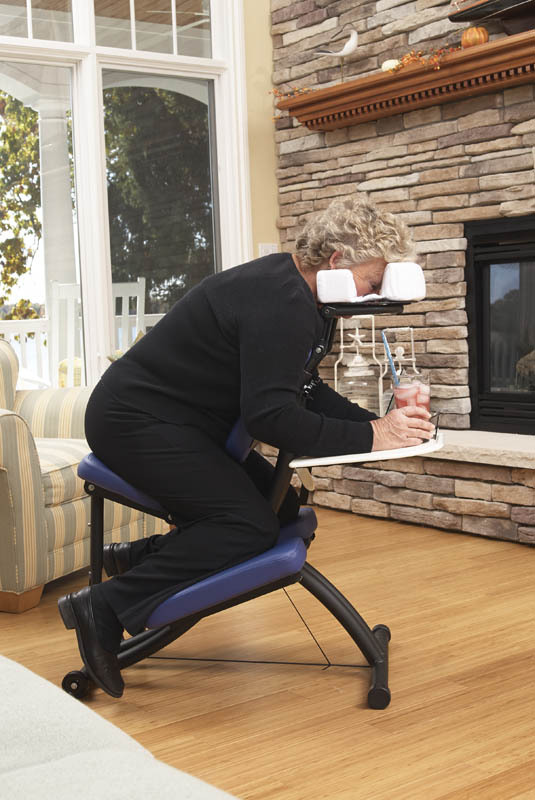 The Seated Support positions you in an ergonomically correct seated position and features an adjustable work desk. Use the work desk for eating, doing crafts, playing games or simply as an arm rest. Set the MajicView™ Mirror on the work desk and see 180 degrees around the room without lifting your head. Enjoy television and visiting with friends. 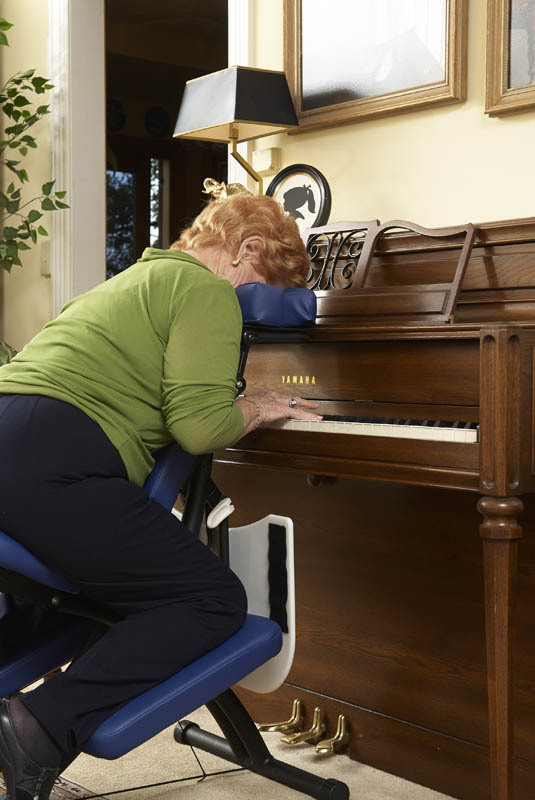 The ergonomically correct design provides back and neck support to eliminate discomfort or stiffness. 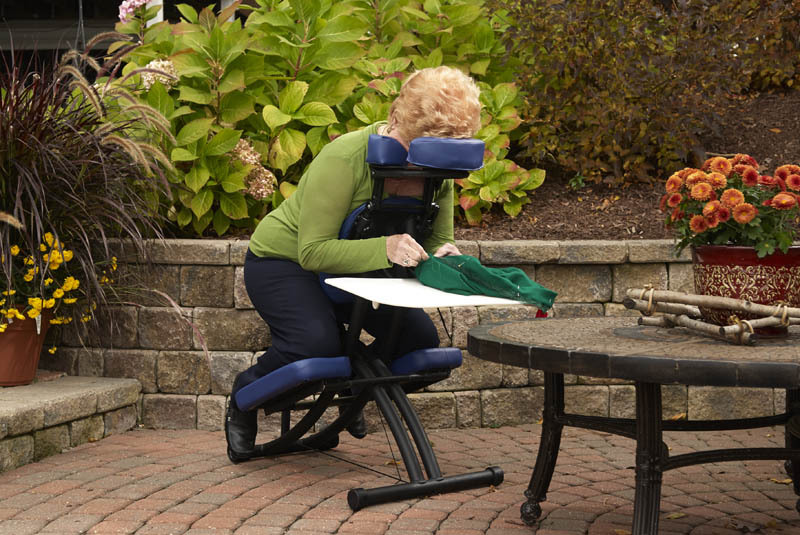 The Seated Support is easily transported on its convenient built-in wheels… take it outside on your patio or porch or move it from room to room. 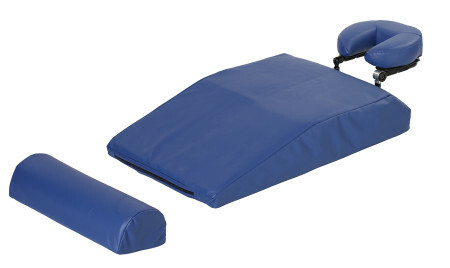 When not in use, the Seated Support can be folded and rolled out of the way. 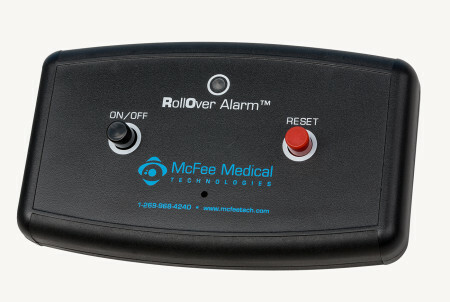 The exclusive Roll Over Alarm allows you to sleep in peace without the worry of rolling over and not waking. An audio alert sounds if you move from the face down position. 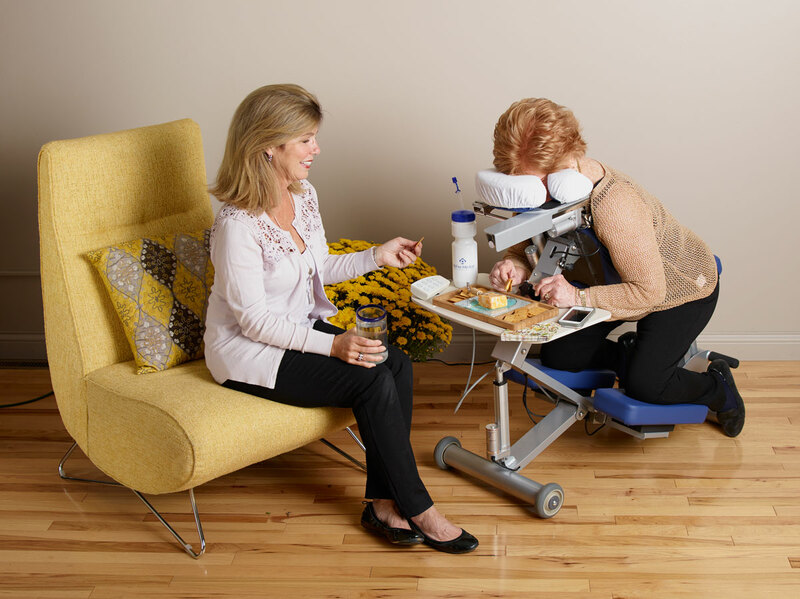 The Face Support System, designed and manufactured by McFee Medical Technologies, provided the ultimate in table top or off-the-end of the bed support. 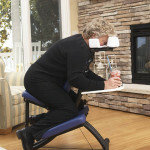 The Face Support is adjustable to any height or girth and offers you many daytime activity options. 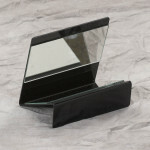 Covered in anti-microbial vinyl, the Face Support features comfortable face padding to support your forehead and cheekbones while allowing you to see. 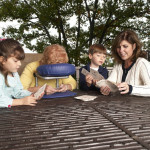 When configured for the table top, you can do crafts, eat, play games, converse with friends. When configured for bed top, use alone on top of the bed or the couch for peaceful, comfortable rest, or use in conjunction with our arm rest off the end of the bed for additional airflow and TV viewing with Travel Cushion. The McFee Medical Technologies Disposable Face Down Support System is an exclusive lightweight alternative for your recovery. Click here to find out more. Rental Included FREE in every package! 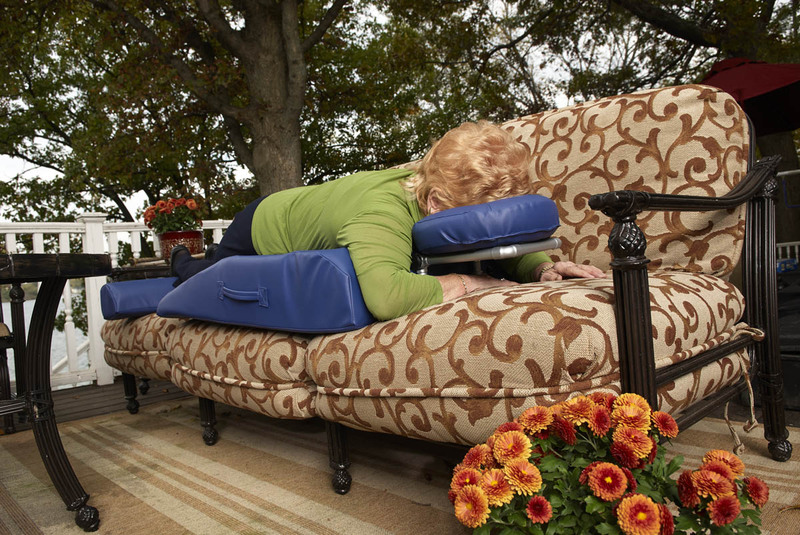 McFee Medical Technologies developed the travel cushion to let you remain face down while on the go. 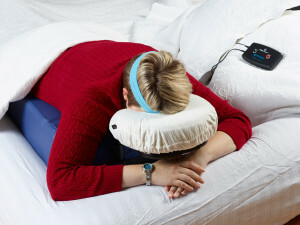 The travel cushion can be used with components of either the EZ Sleep or the Face Support to remain in the face down position while sitting on the couch or in a car. Don’t be fooled by copies – use the original travel cushion. 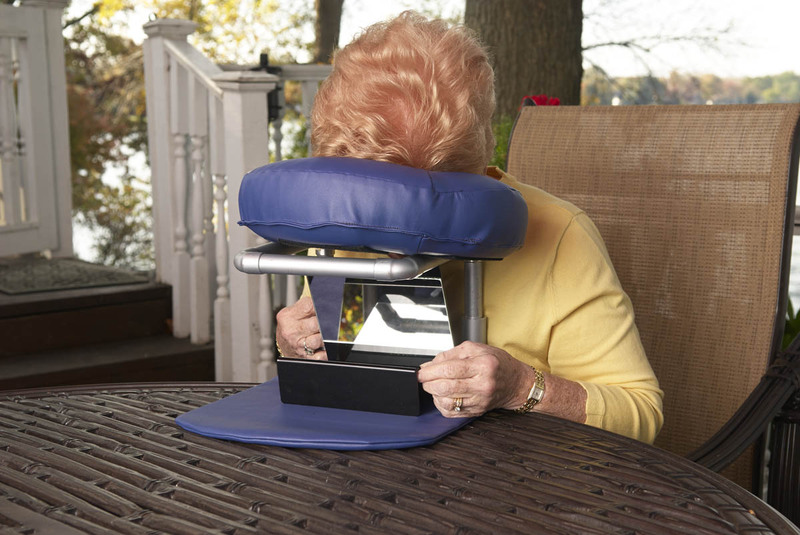 McFee Medical Technologies offers a line of vitrectomy equipment accessories to make your recovery more comfortable. 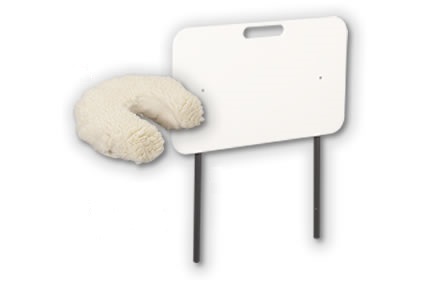 Synthetic Fleece Crescent Pad Cover – for the ultimate softness and comfort. 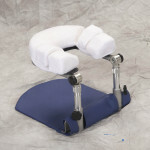 Arm Rest – The arm rest is used with the Face Support when you use the Face Support to sleep with off the end of the bed. Flannel Cover – additional set (not shown). 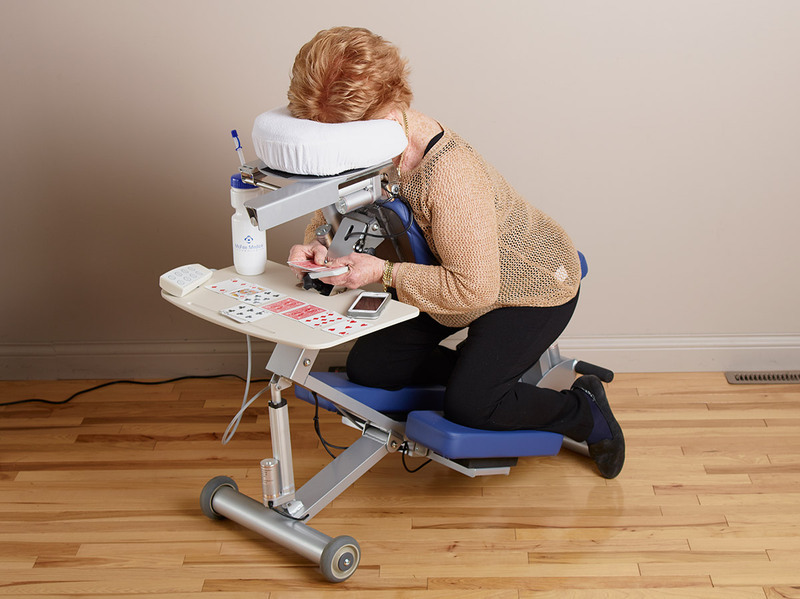 Ready to rent or purchase your vitrectomy equipment? Let us help. Click to view Packages or Order Online now.